People often ask their dentist whether or not silver fillings need to be replaced. This gray substance known as amalgam was the solution to cavities for many years, but today dentists use biocompatible tooth-colored resin to fill the hole left by tooth decay. So, are those old fillings bad? Not necessarily, says your dentist in Preston Hollow. Keep reading to find out why. It usually only takes 1 visit to switch out a silver filling for a tooth-colored one. However, it may not be possible to replace a filling with another one. If significant damage has already occurred, there may not be enough healthy enamel left to place a filling. In these cases, a dental crown may be required. Dental crowns cover the entire tooth structure and are completed over the course of two visits to the dentist. The filling can be customized to match the precise shade of the surrounding tooth enamel, guaranteeing a natural-looking effect. Most people cannot identify a tooth-colored filling after it has been placed, so you can speak and smile with full confidence — even if the restoration is on a tooth you can see. The resin used in a tooth-colored filling is less sensitive to heat and cold than amalgam. Because it does not expand or contract so significantly to outside stimuli, this type of filling is gentler on the surrounding tooth enamel. Composite resin eliminates the slight but present risk of mercury exposure that is present with amalgam. Tooth-colored fillings can last as long or longer than those made of amalgam. If you are concerned about a silver filling, it’s a wise idea to visit the dentist to have it checked out. Chances are good that it can remain healthy in your smile for a while longer — but if replacement is needed, you won’t want to wait another day to have it taken care of. Dr. Allison Fowler is a Preston Hollow dentist offering comprehensive dental care for patients of all ages. 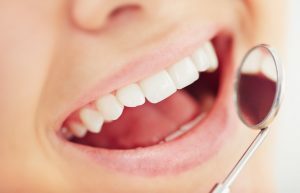 She offers tooth-colored fillings and can also provide expert evaluation of existing silver fillings. To find out how yours are holding up, you are encouraged to contact Dr. Fowler at (214) 646-8263.